Join the Congregation in recognizing and celebrating Rabbi Andrea Goldstein on her recent 20th anniversary since ordination as a rabbi. Rabbi Goldstein has been a Rabbi of Congregation Shaare Emeth since 1998. 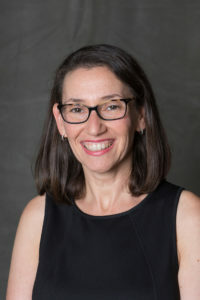 She received her undergraduate degree in Communications from Northwestern University and was ordained in 1998 at the Hebrew Union College-Jewish Institute of Religion in Cincinnati, Ohio. We are so thankful for all that she has given to Congregation Shaare Emeth and the Jewish Community as a whole throughout her career as a rabbi.